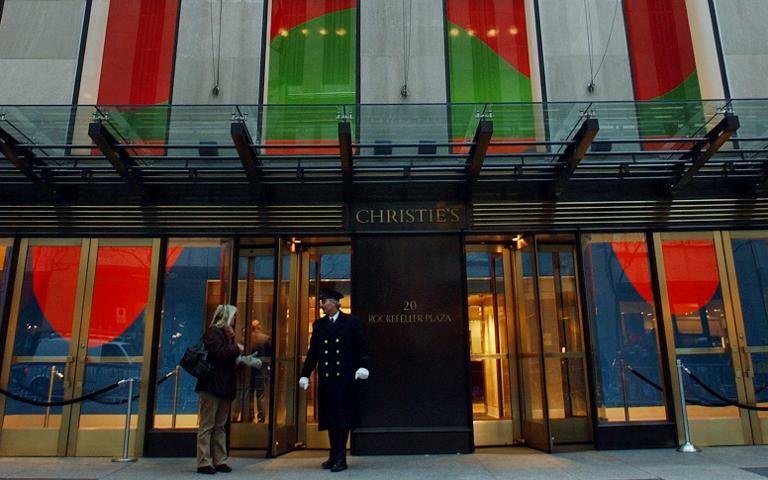 A painting by American Barnett Newman, "Black Fire I," went under the gavel for $84 million at Christie's postwar and contemporary art auction in New York, a record price for the artist. Barnett's black and white piece on Tuesday topped the $80.805 million raked in for Francis Bacon's "Three Studies for a Portrait of John Edwards," a collection of three canvases painted in 1984. 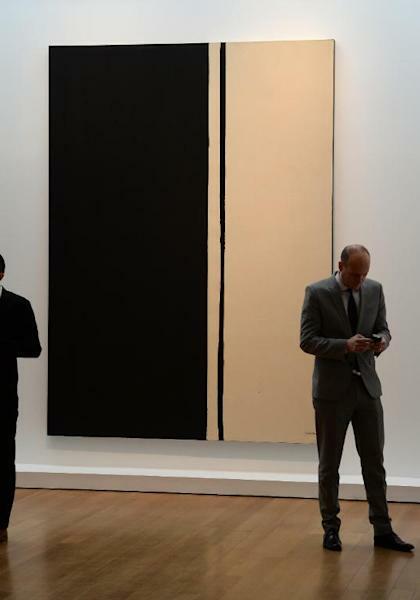 "Black Fire I" sparked a contentious bidding war between two telephone bidders, ending with a standing ovation as the hammer fell with a price of $84.165 million, far exceeding the estimated value of $50 million. The previous record for Barnett, an abstract expressionist painter who lived from 1905 to 1970, was $43.8, when his "Onement VI" sold a year ago at Sotheby's. However, the world record for the highest price fetched at auction for a work of art remains with Bacon, whose triptych, "Three Studies of Lucian Freud," was sold last year by Christie's for $142.4 million. The fervor around Bacon, who lived 1909 to 1992, was also in evidence in February in London, where a portrait of his lover George Dyer, "Portrait of George Dyer Talking," sold for more than 42 million pounds ($70 million), also by Christie's. Among other items auctioned off Tuesday was "Race Riot," by Andy Warhol, which sold for $62.885 million, well above the $50 million Christie's had predicted. His "White Marylin" also exceeded expectations, selling Tuesday for $41.045 million, more than double the $18 million anticipated by Christie's. Warhol works, like Bacon's, are very in demand currently by collectors. His giant canvas "Silver Car Crash: Double Disaster" sold in November for more than $105 million. Another star of the auction was American Mark Rothko's "Untitled," which sold for $66.245 million. On Wednesday it will be Sotheby's turn, where yet another Warhol, "Six Self Portraits," is expected to spark bidding between $25 and $35 million. Other anticipated highlights are the sculpture "Popeye," by American artist Jeff Koons, estimated at $25 million, and "Blau" (Blue) by German Gerhard Richter, for which it expects to get between $25 and $35 million. The spring auction season opened last week with impressionist and modern art.